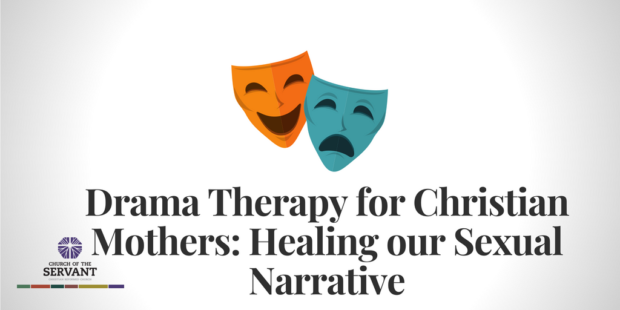 A FREE Drama Therapy Workshop for Christian Mothers on Healing our Sexual Narrative. Why is there a disconnect with sexuality once initiated into motherhood? Many mothers can list off numerous factors, some include sleep deprivation, shame, or an unfamiliar postpartum body, yet the overbearing cultural stigmatization of a mother’s sexuality plays an influential role. Can Christian motherhood and vibrant sexuality co-exist? Kaile Videtich, a Grand Rapids native working to complete her Masters in Counseling Psychology with a concentrate in Drama Therapy, will facilitate a workshop using drama therapy and theatre techniques to reclaim our sexual nature and rewrite a new sexual narrative. We will deconstruct our current sexual messages and through action techniques will discover our voice to identify our new sexual storyline. *Contact Kaile if childcare is needed or you have any questions: 616-818-9007 or kailevidetich@gmail.com.